The Dell™ AX510 SoundBar is only powered from a Dell UltraSharp or Professional series monitor and does not come with a separate power adapter. This stereo soundbar is a good choice for improving the quality of multimedia presentations, online training / Web casts, music listening, gaming, and DVD playback on your system. 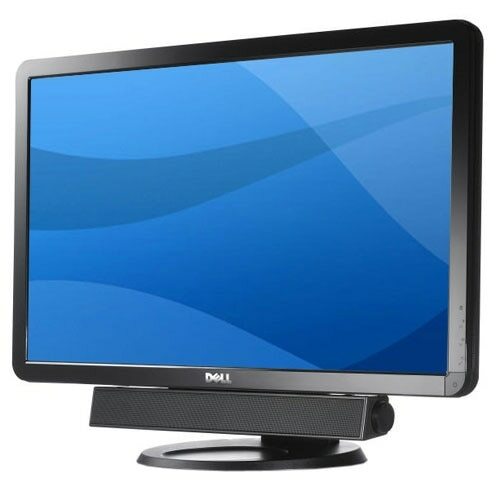 This lightweight, elegantly designed sound bar can be easily attached to your Dell Flat Panel Monitor. This product has been tested and validated on Dell systems. 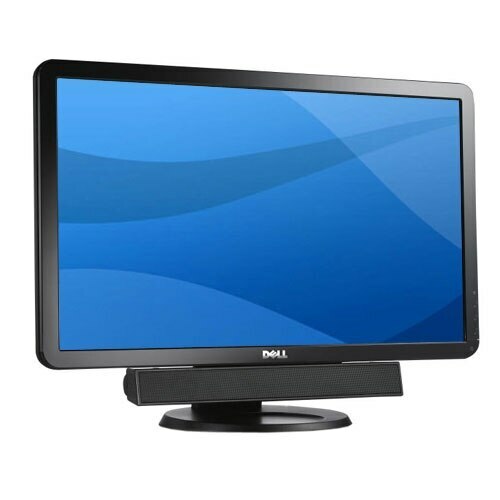 It is supported by Dell Technical Support when used with a Dell system. The Dell™ AX510 Sound Bar is a good choice for improving the quality of multimedia presentations, online training / Web casts, music listening, gaming, and DVD playback on your system. 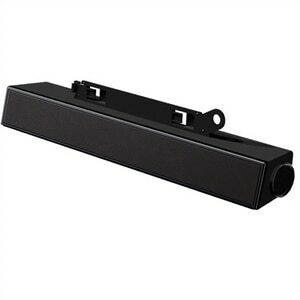 This lightweight, elegantly designed sound bar can be easily attached to your Dell Flat Panel Monitor. This product has been tested and validated on Dell systems. It is supported by Dell Technical Support when used with a Dell system.